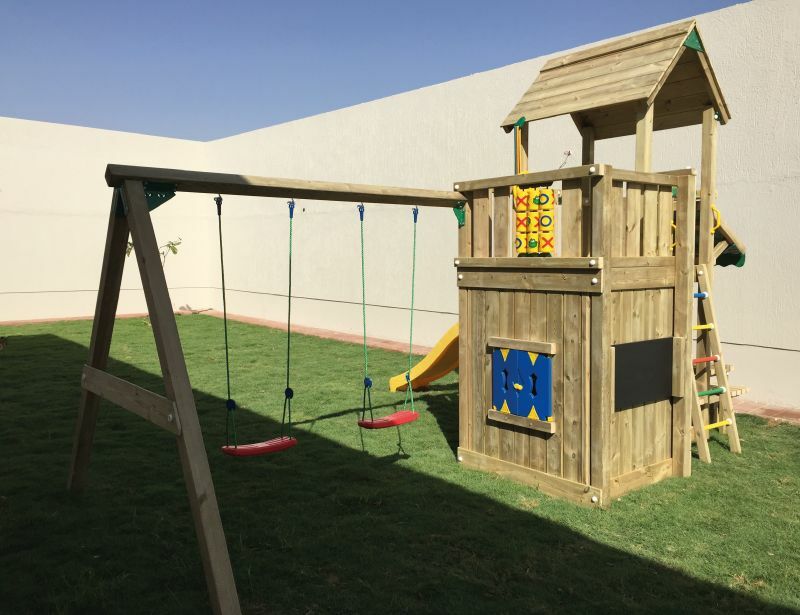 This playground is one of our most popular setups, especially suitable for kids who love social and imaginative play. 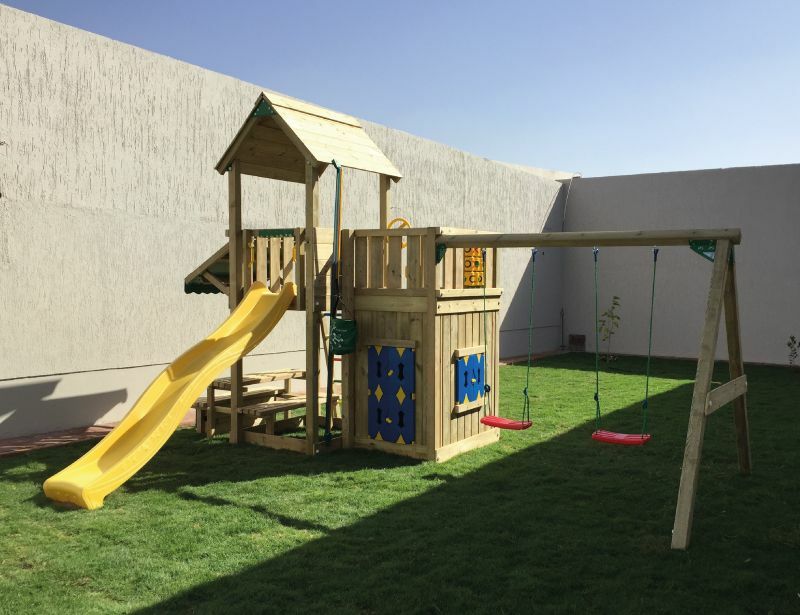 Using the Mansion as the base Tower, we added a children playhouse underneath the balcony to create a private indoor space. 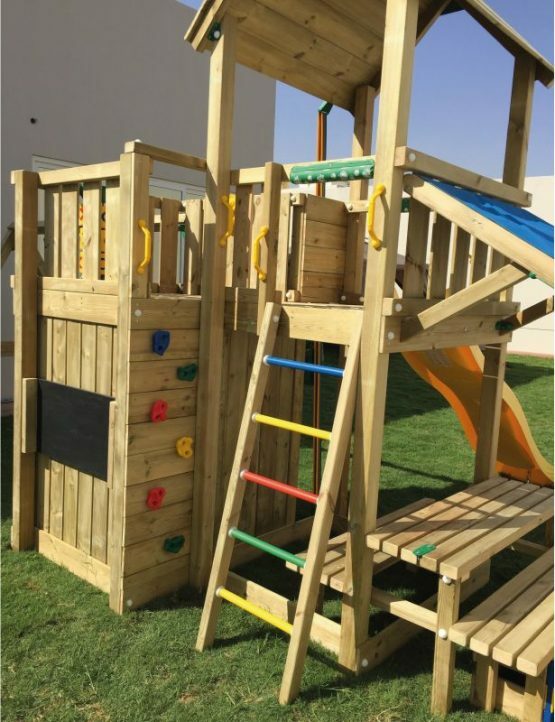 We extended the fun with a Double Swing that allows 2 kids to play at the same time, and maybe even adds a competitive element to the activity. Who can go the highest? The Mini Picnic module is ideal to have a family picnic, to encourage social play and to do arts and crafts. The module includes a table, two benches, a roof tarp with valance and a cabinet to store all your toys. Is this setup not exactly what you’re looking for? Check out our other Playhouse or browse our most popular setups.